Superior Instant Customer Feedback - Superior Pool Spa & Leisure Ltd. Improve Your End Users’ Experience! In its continued efforts to offer the best customer service in the industry, Superior Pool, Spa & Leisure Ltd. has launched the latest phase of its How Was Your Swim? initiative. This week, Superior unveiled its customer service monitoring machines at swimming pool, exercise, and fitness facilities across the Greater Toronto Area allowing end users to instantly rate their experience. The first of its kind in the aquatics services industry, the campaign is part of Superior’s ongoing, groundbreaking customer service initiative that began with the launch in 2018 of the Superior Advantage, a fully customized Customer Service Cloud Platform. The new PressnXPress service is currently being offered with many Superior service contracts. 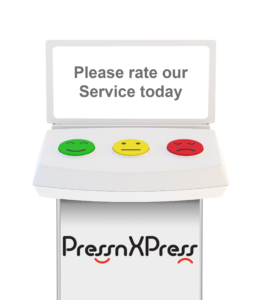 Questions include: Please Rate Our Service, How Did You Enjoy Your Recreation Service Today?, and How Likely Are You To Recommend Our Service? Once a button has been pressed, the information is immediately sent to a dashboard and ultimately the facility’s account where the data is compiled and a report is available when management logs-in to Superior’s Cloud Platform. The advantage to Superior customers includes instant, first-hand feedback from end users of the facilities. Facility management also gets compiled data and recommendations allowing them to adjust operations and/or make service adjustments, and, most importantly, respond to issues as needed on-the-fly. Because each wireless XPressCast is associated with a physical location and can be grouped with other XPressCasts, facility management can compare trends between locations and groups for more precise insights. There are also advantages for end users who will experience quicker resolutions to any and all problems. For example, if a concern is reported on a weekend, the Superior team is alerted immediately. Once Superior has been notified they can, with the help of any on-site or on-call staff, resolve the issue before the management’s office opens on Monday. Ultimately this leads to less disruption, as well as a safer, cleaner and more positive experience for the end user. 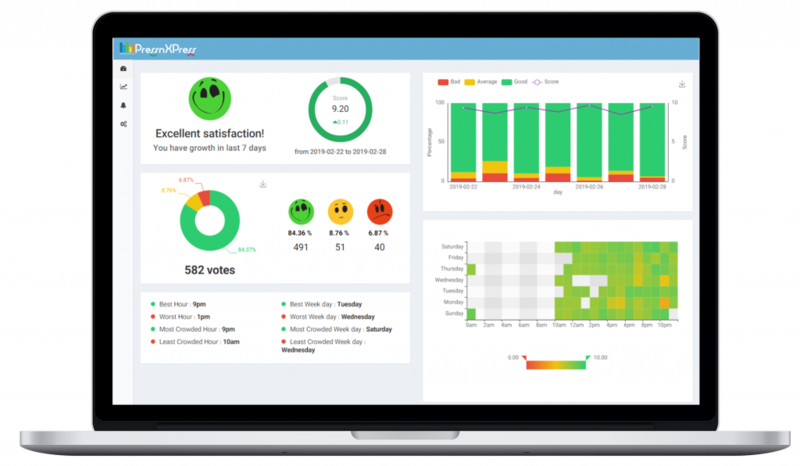 PressnXPress is a simple, user-friendly solution for service-oriented businesses and organizations for monitoring their customer experience in real-time. It offers deeper insight by turning data into actionable insight in a few clicks. Customized labelling for staff, events, etc. Superior is proud and excited to be offering PressnXpress with new and existing contracts as well as continuing to set new high standards in customer service! Want to Learn More About How PressnXpress Can Help Your Facility?